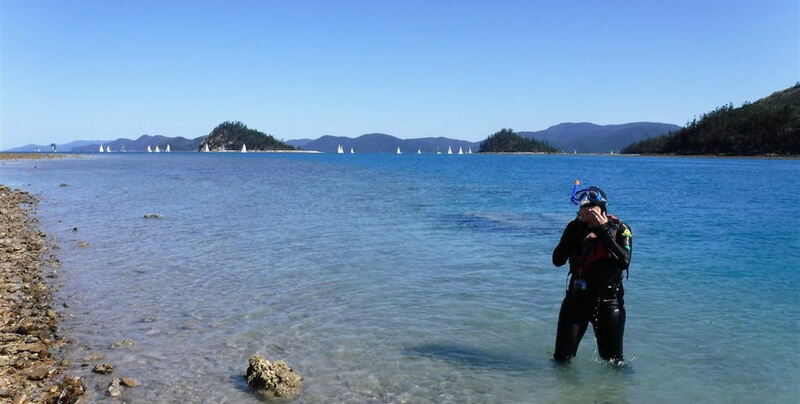 This activity is not suitable for children under the age of 15 years. 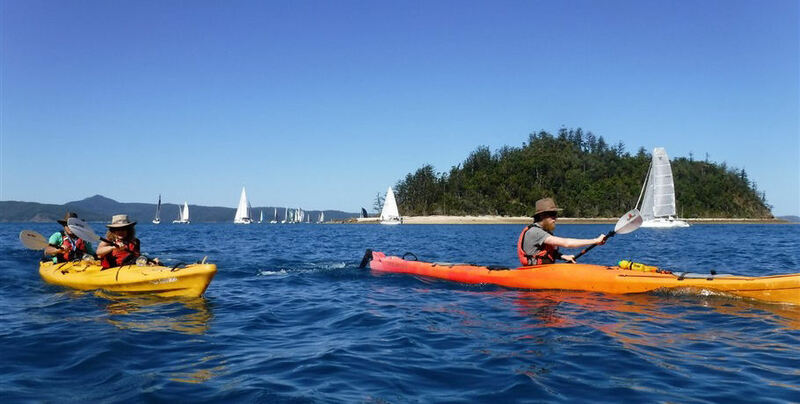 Enjoy a full day kayaking from the Salty Dog base at Shute Harbour out over to the inner islands. 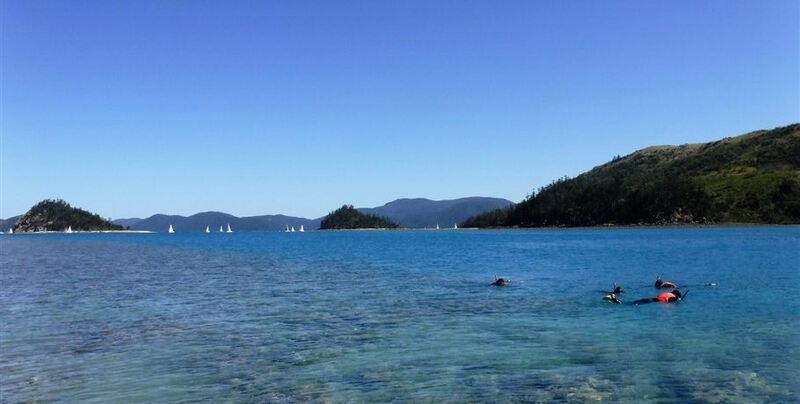 You will visit the nearby White Rock where you can have a relaxing break and swim in the sparkling waters of the Coral Sea. 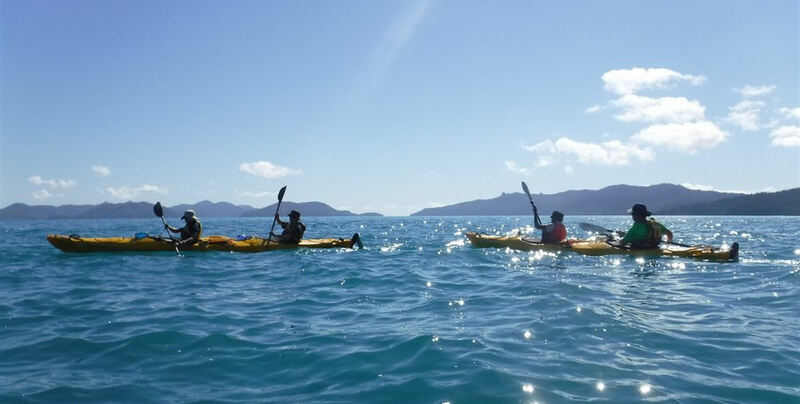 From White Rock, it’s out to South Molle Island where you’ll have the best chance to see some of the spectacular marine life on offer in the Whitsundays. 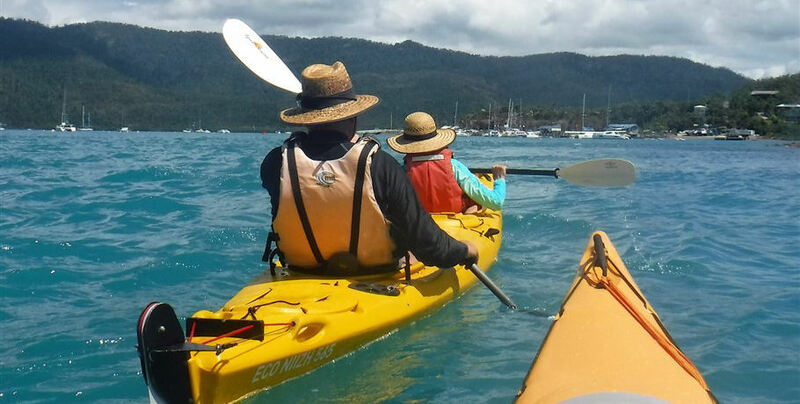 Turtles, dolphins, dugongs and maybe even whales live in the waters surrounding these inner islands and will often swim up to the kayaks for a look! 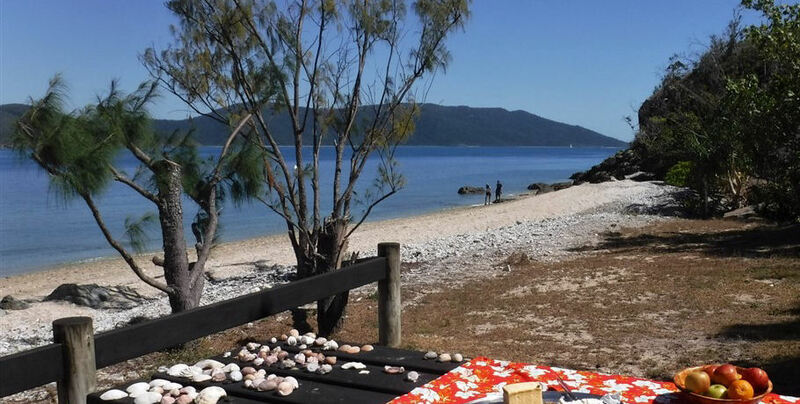 Your friendly tour guide will take you on a trek along part of the Mount Jeffries Walking Track where you can bask in the many varieties of butterflies and other natural Aussie wildlife. 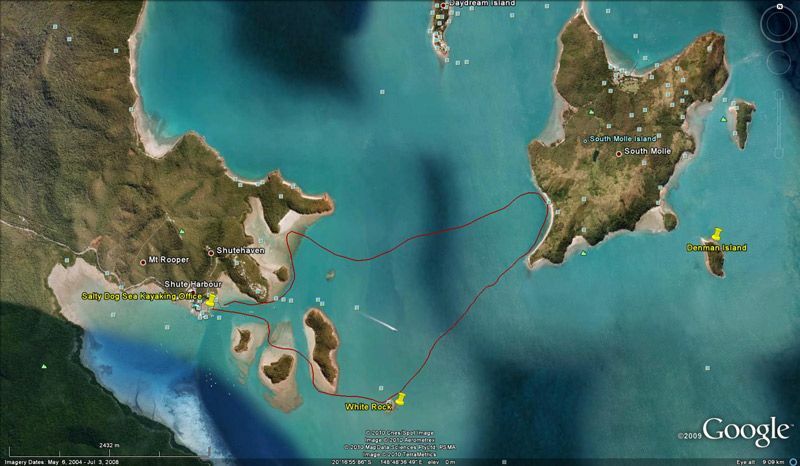 You’ll be rewarded for your effort with incredible views back to Shute Harbour, Sandy Bay, and the Conway State Forest. 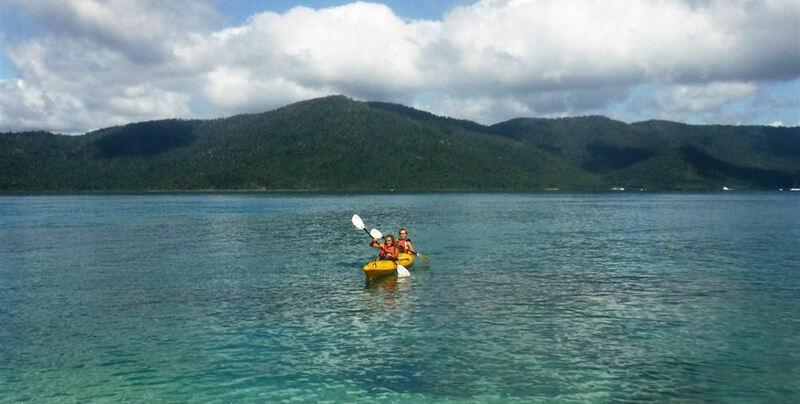 If conditions are suitable, you will also have a chance to snorkel right from the beach in one of the best fringing coral reefs in this magnificent area. 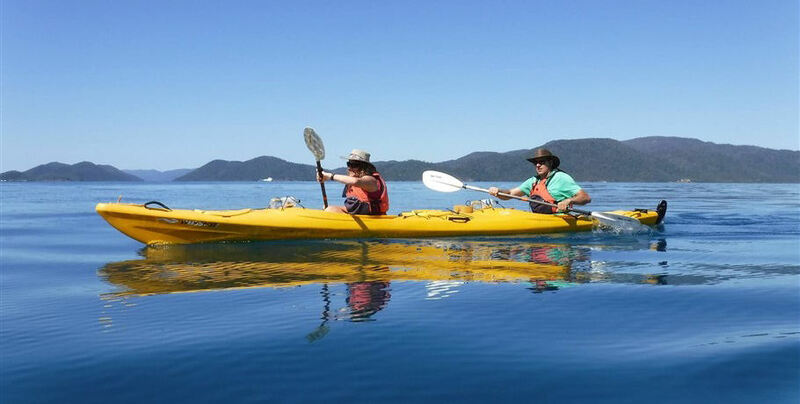 This tour includes a delicious buffet lunch, an in-depth introduction to the islands, and between 10-15 kms of relaxed guided kayaking. 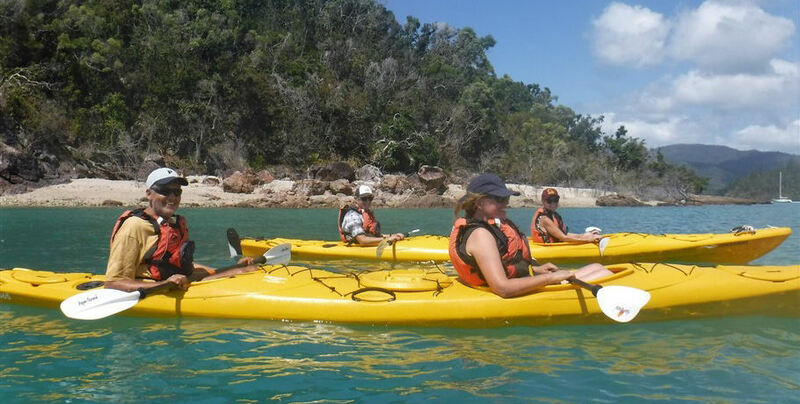 Suitable for beginners to experienced kayakers with a medium to high level of fitness.